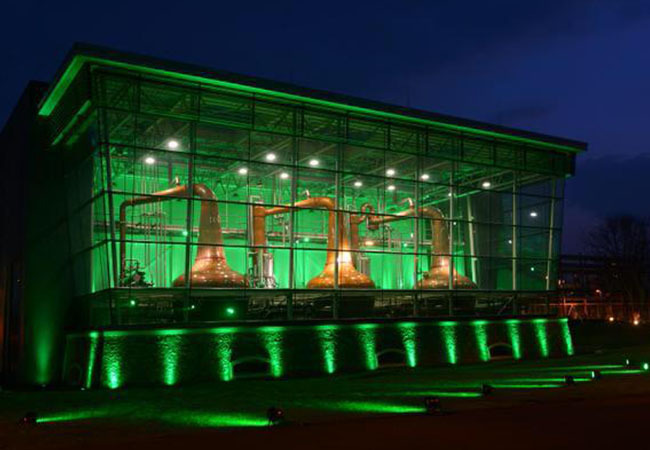 The 21.5m high pot still hall building envelope is designed to a very high level of thermal performance. 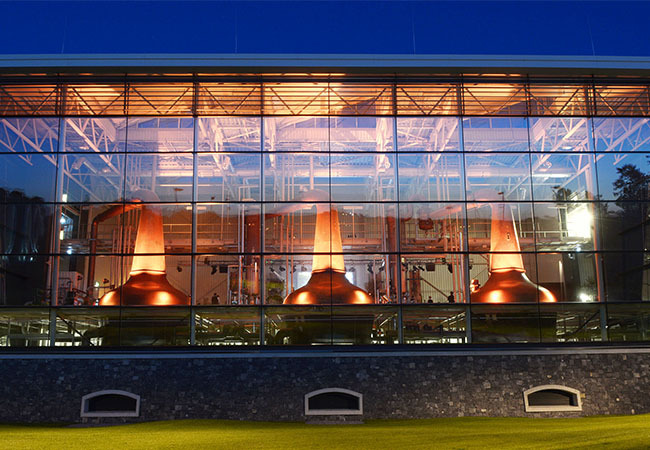 The large and slopping glass panels provide an excellent thermal value and a beautiful view of the large copper stills. 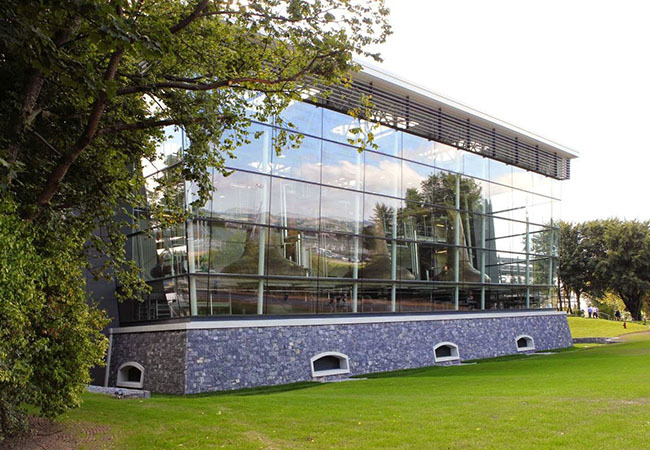 The provision of a thermal wall embraces the passive house logic and reduces carbon emissions, heating and venting costs. Large 6m, square roof lights where assembled on the ground and lifted into position with a large crane. These can be easily removed in the future, to provide new or replace existing Pot Stils. If you would like more information on this or any other Alucraft products, or you would like to discuss your specific project requirements contact us today.